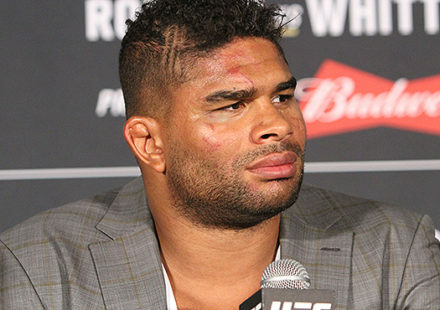 After UFC 129 was finished and the post-fight press conference was starting, one particular fighter’s absence left everyone a little bit concerned. 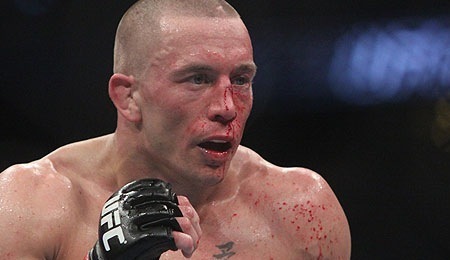 UFC welterweight champion Georges St-Pierre was unable to appear following his five-round decision win over Jake Shields due to a trip to the hospital after the Canadian complained that he couldn’t see out of his left eye. St-Pierre, after an initial scare, has consulted with a specialist, who concluded no serious damage occurred during the fight. “The doctors were very worried it was a detached retina because they couldn’t see inside his eye. They flashed the light inside his eye and normally they’re supposed to be able to see inside the eye, but the eye was filled with obstructions. 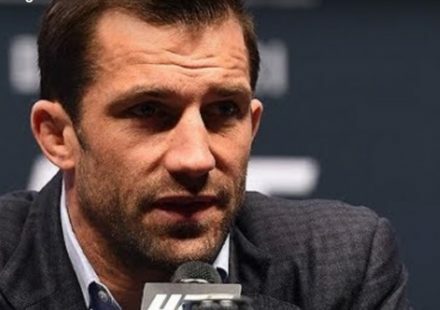 The doctor was saying he couldn’t see inside, so he needed to go to a specialist,” St-Pierre’s lead trainer Firas Zahabi told MMAWeekly Radio. The swipe to the face, according to Zahabi, is what caused the eye injury. In the third round, Shields apparently swung a right hook that was open handed and his finger caught St-Pierre in the eye, causing the injury. While Zahabi and St-Pierre’s team don’t believe it was intentional, he still thinks it warranted a pause in the action to allow his fighter time to recover, but it didn’t happen. “When he threw that open handed hook, that was recorded, I complained to the ref immediately. I saw it, I completely saw it. 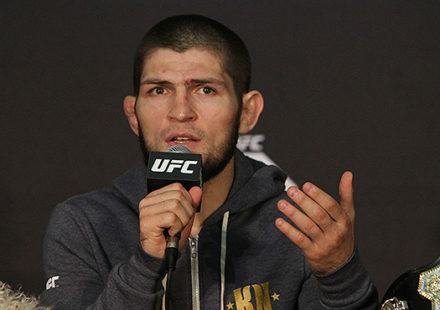 I complained about it immediately to the referee that it was an open hand swipe to the face,” Zahabi described. Following the foul, St-Pierre came to his corner and told his trainer he couldn’t see. With only a minute to deal with the situation, Zahabi kept to the basics, knowing that St-Pierre would continue, but had to be strategic about his approach. “Because it’s his left eye, I wanted him to circle to his right, because he won’t see the shots coming from his left side,” said Zahabi. “So it’s even more crucial to circle away from the power side. The good news for St-Pierre is that he was able to pull out the final two rounds despite the injury and ended up the winner after the five-round fight with Shields. The even better news after the fight came from his doctors, who gave him just the diagnosis he was hoping for, and it won’t require anything more than for St-Pierre to fill a prescription.